I am pursuing B.pharma (3rd yr) looking for a business or job . I have knowledge of medicines and marketing . 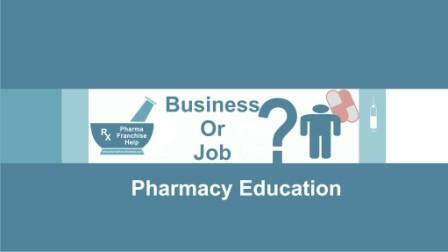 I know it needs large amount of money to start business in pharmacy profession . If you have any idea for small scale business or any job. But before start, you should have adequate experience, knowledge and strong networking, so it becomes easy for you to be successful in your business. Don’t think that you will require huge money, only concentrate to build your inner qualities that will help you in your journey. Chemist or retail shop can be started with below 50000 investment and much of products, you can get at credit from wholesaler. Wholesaler business also doesn’t need much investment. But your initial investment depends at your experience and networking in pharma market. We can see many persons in the market who start their business with minimum investment and also persons who start with above 5 crore initial investment. That depends upon you, which track you follow and what have you learned during your professional career. Start with job in pharma sector where you would like to go and in which section you have much interest. Marketing, sales, production, quality control, research, pharmacovegilence, BPO etc are the few options, you can think to start. Other than these, you can also join other best possible jobs you are interested in. If you have family pharma background then you can directly start pharma business but if anyone don’t know about pharma then do job for 3-5 year first and get exposure to market, learn, research possibilities, build network, understand how others are working, then start with small investment and make it large. Doing job is great idea to start. Even corporate icons throw their children in job before hand over big emperor’s responsibilities to them. Only one thing you should remember, don’t let upturned any stone in your learning. This will be useful for identifying with more employment opportunities. Also i am looking for more news from you. So please update with the franchise opportunities. Tout d'abord bonjour…. Ton site est très utile. je cherchais justement des réponses a ce sujet.